Mumbai, April 12: The advocate of the auditor firm which had conducted the audit of the Himalaya Footover Bridge (FOB), also known as CSTM bridge that collapsed in Mumbai last month killing six people, argued in the court that the BMC only paid attention to the "looks" of the bridge when it conducted repairs in 2016. Mumbai Foot Over Bridge Collapse: 5 Dead in CSMT Station FOB Collapse; Here's A Look At Similar Recent Mishaps in The Maximum City. Defence advocate Rizwan Merchant said that the BMC was only concerned with the "cosmetic look" of the bridge. The advocate said that the BMC's approach when the repairs were undertaken in 2016 was that the Bridge "Bus chamakna chahiye"- the bridge must look good. Mumbai CSMT Bridge Collapse: BMC Releases Preliminary Audit Report, Suspends 2 Officials; 2 Retired Chief Engineers to Face Department Inquiry. The Defence also mentioned the municipal commissioner’s 2016 visit to the bridge in October. The advocate said that following BMC commissioner's visit, the decision to give repairs work to another firm was done without intimating Desai auditors firm. The firm is under the scanner for having declared six months before the bridge collapse that the bridge was fit for use and not a threat to public. 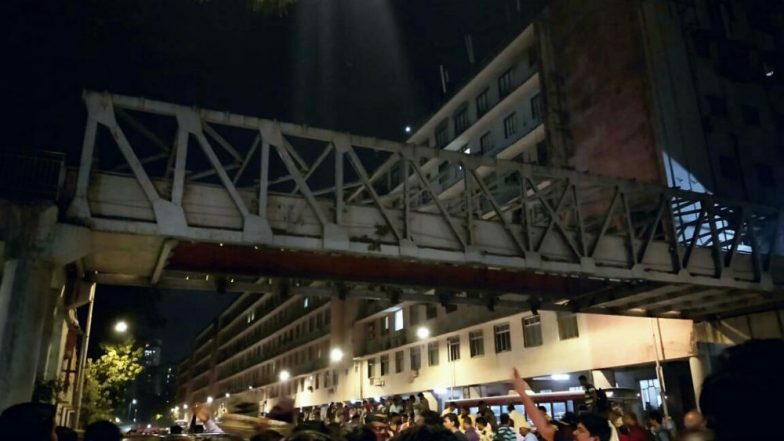 The Brihanmumbai Municipal Corporation (BMC) released the preliminary audit of the foot over bridge after the collapse which killed six people and injured over 30 citizens. The BMC also suspended the executive and assistant engineer supervising the audit in the Mumbai bridge collapse.